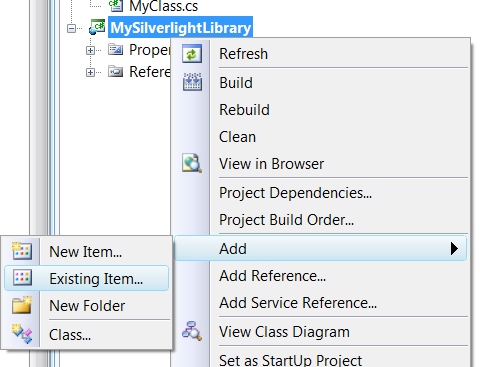 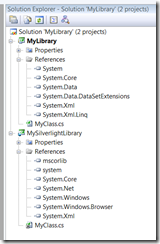 How come I can’t reference a regular .NET library from a Silverlight project? 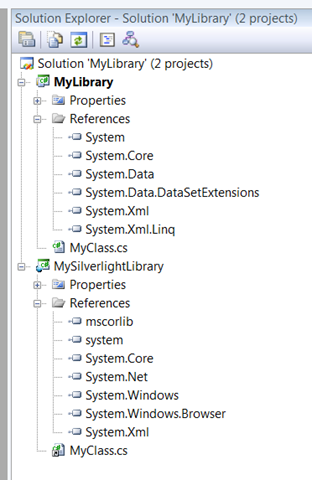 Which really comes down to the CLR that’s in Silverlight ( the “CoreCLR” ) not being the same CLR as you see on the desktop or the server. 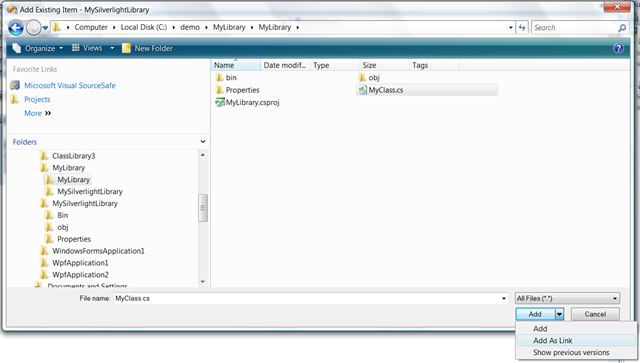 What do you do about this? 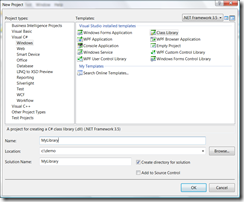 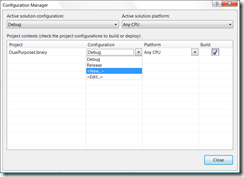 If you’ve got some code that you want to build into a library that will compile against both the full .NET Framework and the Silverlight .NET Framework then one thing you might try is to set up two projects that point to the same source code. I made an attempt at this but I don’t think my attempt really cuts it so if someone has a proper way of doing this with Visual Studio and MSBuild then that’d be interesting to know about although I have a feeling that it’s going to prove to be an unrealistic approach. 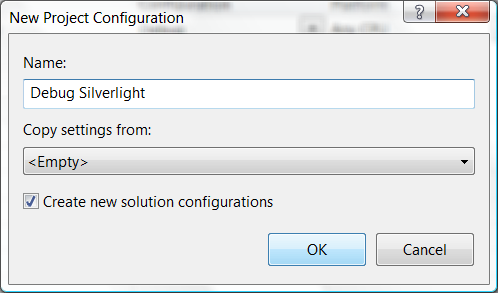 Condition=" '$(Configuration)' == 'Release Silverlight' OR '$(Configuration)' == 'Debug Silverlight' "
<Import Condition=" '$(Configuration)' != 'Release Silverlight' AND '$(Configuration)' != 'Debug Silverlight' "
and I seriously suspect that this isn’t anything near to being correct at this point. 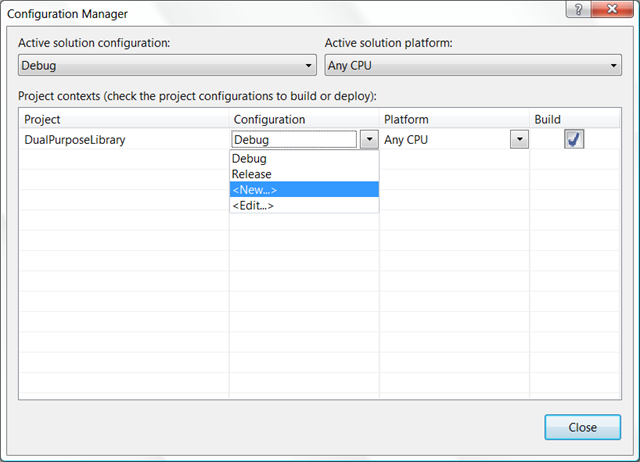 but loading this project into Visual Studio looks to confuse Visual Studio. which highlights some of the differences around conditions and if I build the 4 configurations of this project in Visual Studio then what I look to end up with is 4 non-Silverlight assemblies rather than 2 Silverlight assemblies and 2 non-Silverlight assemblies. 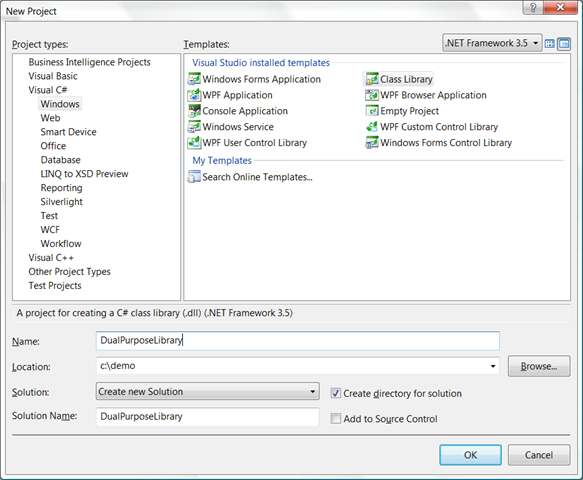 So…I figure for the minute that perhaps the 2 separate projects with the linked files is the way to go but I’m guessing that someone out there has enough MSBuild/Visual Studio Project knowledge to put this together and make it work?